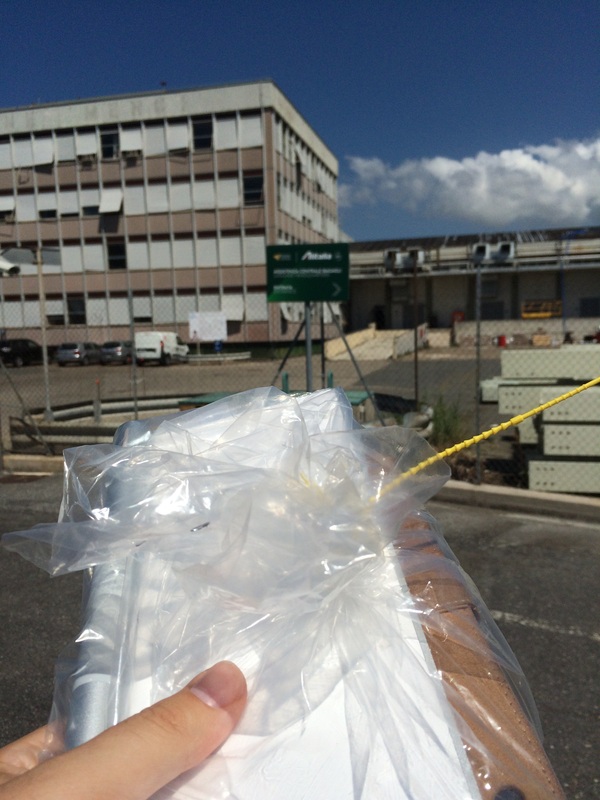 I mentioned in a previous post that I had left my iPad on an Alitalia flight (more to come on that at some point) and that there were difficulties in retrieving it such that the most sensible thing to do was to fly to Rome for a few hours to pick it up. Having arrived home at about 0030, the alarm at 0545 seemed too early! I got up and heading to Paddington to get on the 0620 Heathrow Express. I have said before that I am a fan, and seeing as I was at Terminal 5 an hour after my alarm went off, it is easy to see why. I cleared security in a couple of minutes, forgoing the Fast Track at the North end as it wasnt obviously sign-posted. 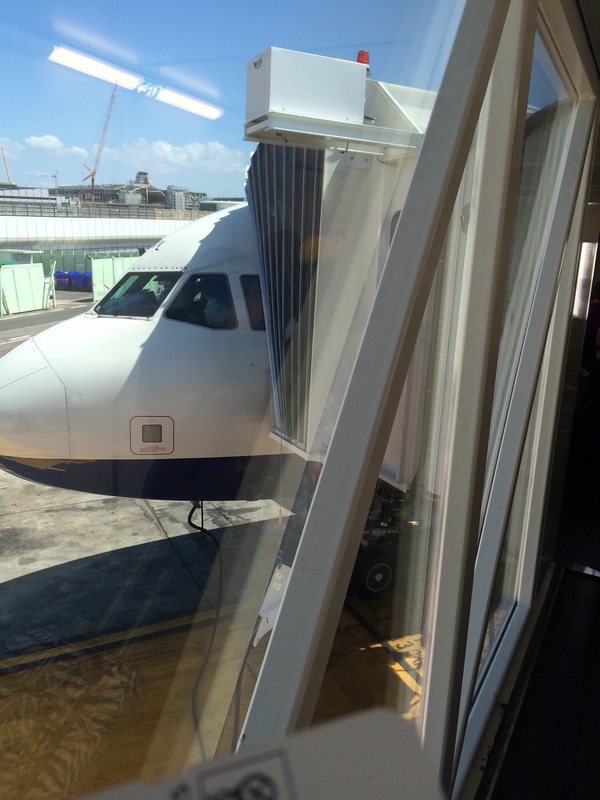 I went to Galleries South to be told that the flight was boarding from T5B, which was actually good news to me. 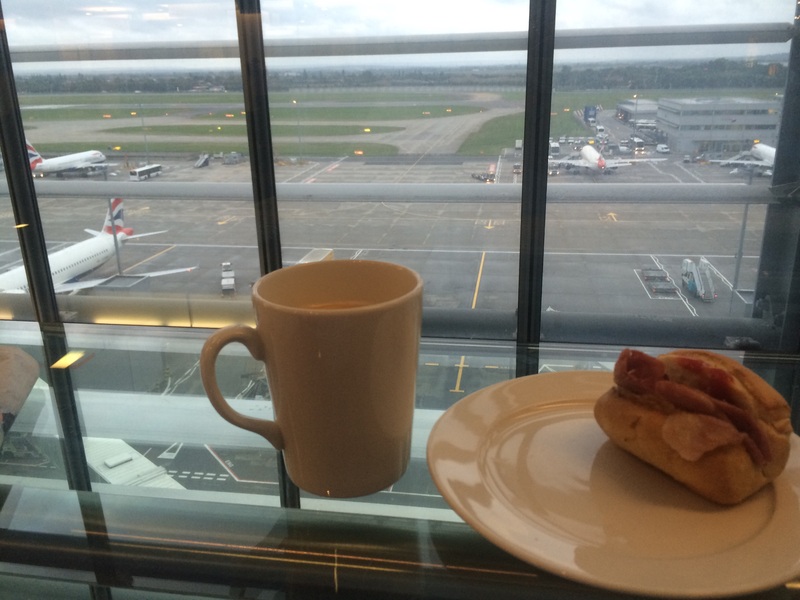 I stopped to sample the (in)famous bacon roll and have a very good cup of coffee, before heading over to the B gates. I had used the walkway before when I flew to JFK, and was pleased to be able to do so again. It is such an oasis of calm, and I like the fact that people give you a funny look when you press the -4 button on the lift, when everyone else gets off at -2! A few minutes later I was in the lounge in T5B for the first time. It is fairly similar to the others, although definitely quieter. I had more coffee before boarding the plane to Rome. 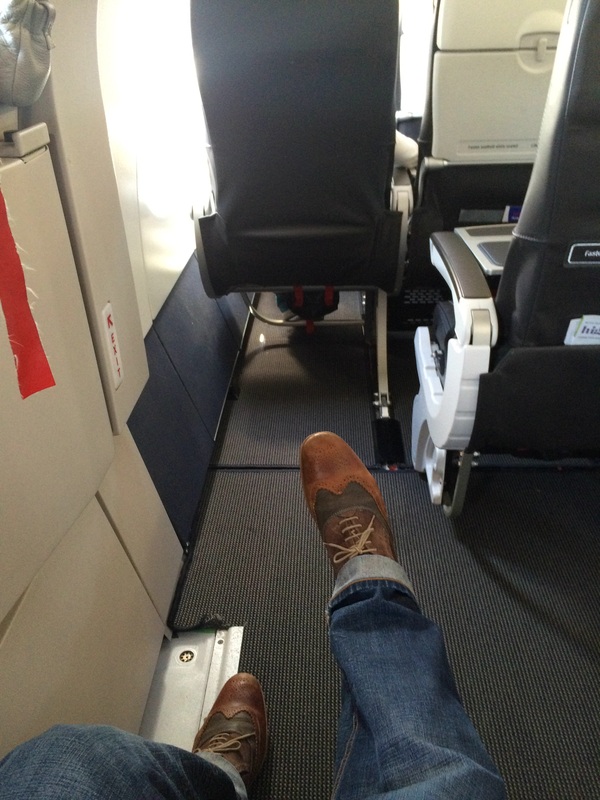 I was in 1A so had plenty of leg room. At this point I noticed that the inbound flight later was showing as delayed, as it was 10 hours away there was plenty of time for movement. 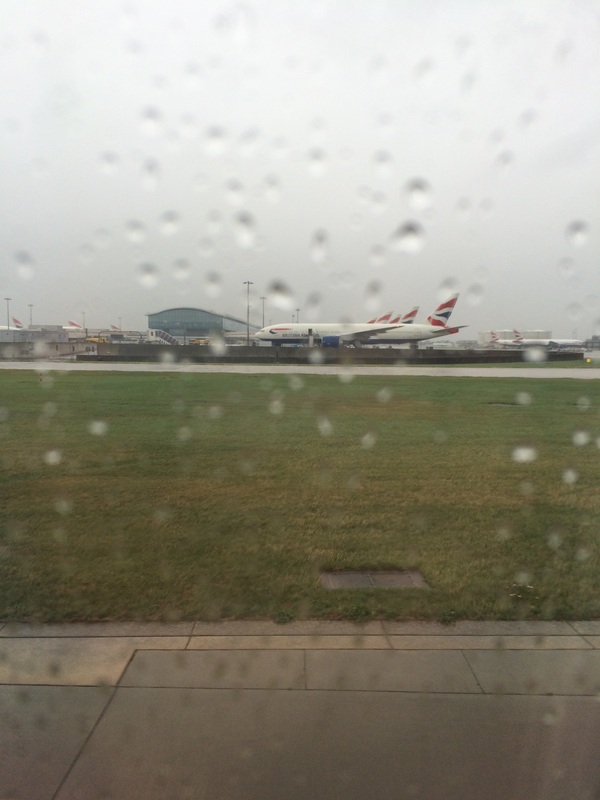 We left a soggy London and headed for Rome. Breakfast service was prompt, and I opted for the hot offering. 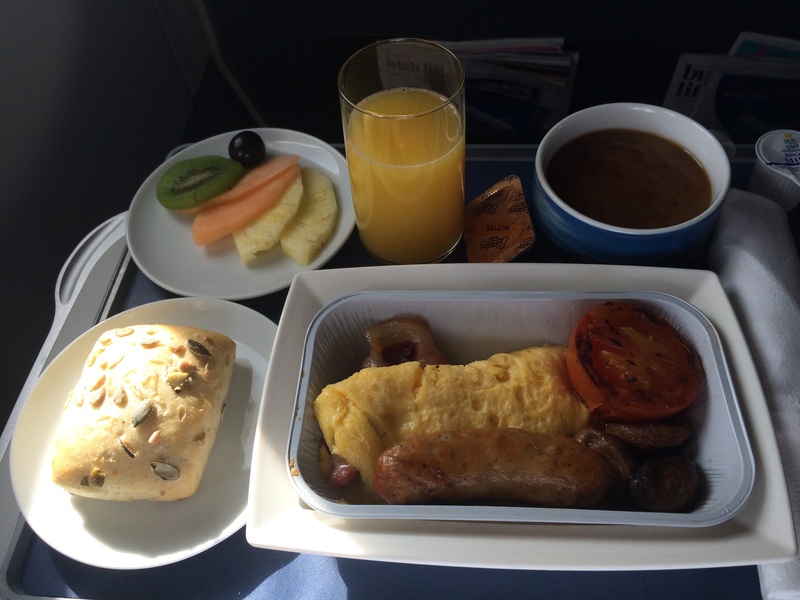 Apart from the fatty bacon (I am quite fussy about bacon) it was very good. A couple of cups of coffee, and some orange juice washed it all down. I did a little work and relaxed a little before landing. 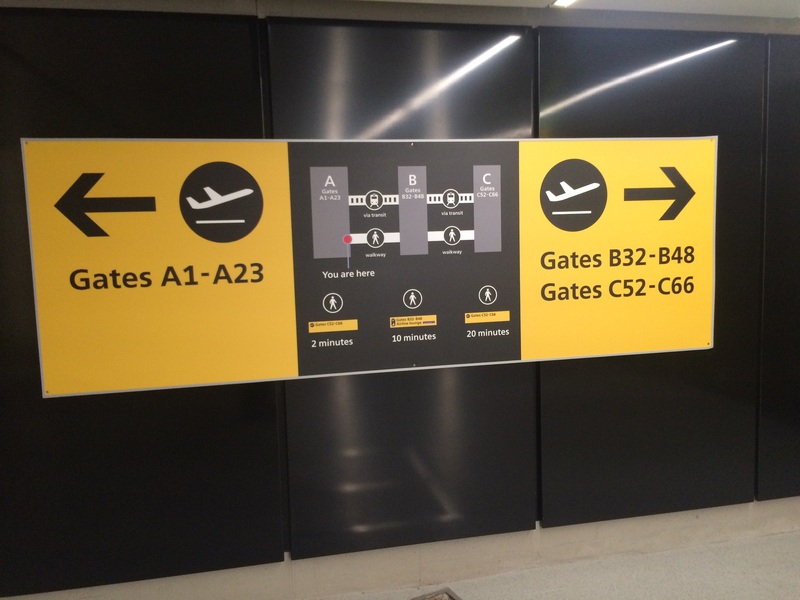 I was first off the plane which had arrived at G01, and managed to get onto the transit to the terminal before the doors closed – I was the only one from my flight to do so and was secretly pleased as I knew that this would mean I would have a shorter queue for immigration. 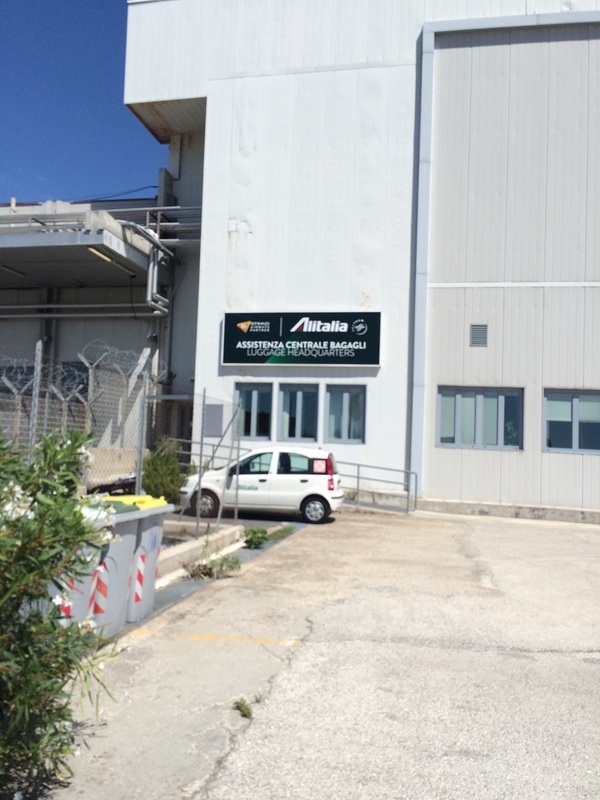 Travelling with only a backpack, I whizzed through FCO Terminal 3, stopping only to get directions to Alitalia’s Lost and Found warehouse from their service desk. 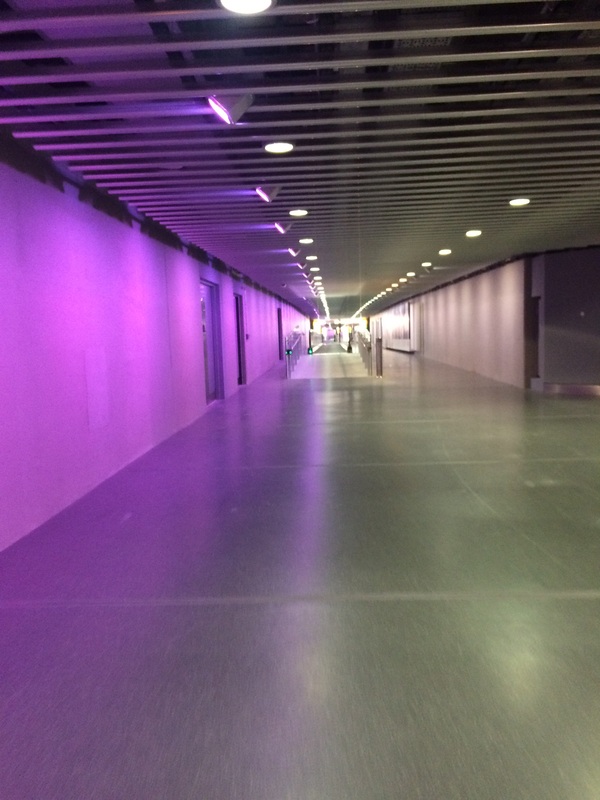 For anyone who might need to know, you have to go from T3, past T1 and beyond, past the bit that looks like no one goes, and then on the left you will eventually see a small sign. I arrived and said “Buongiorno” whilst getting out my boarding pass from the flight I had left the iPad on. The lady said “Ah! You are here for the lost property” and went off to get the iPad. I had emailed to say that I would be making the journey myself, and got the impression that not many people go to collect their items. We touched down at noon and I was at the office by 1230, and back in the terminal for about 1245. I went to the ticketing desk to ask if there was any chance of getting onto the earlier flight at 1515, but that was full in business and as I had booked using Avios, he was not able to shift and downgrade me at the same time, even though shifting me was possible. I then asked tongue in cheek about the 1320 flight to be told that there were 100 passengers still to board at T-25mins and that if I could make it there, there would be a seat. I legged it through security, back onto the transit, thankful that G01 was right by the entrance. I made it there about 1305 to see people still boarding. 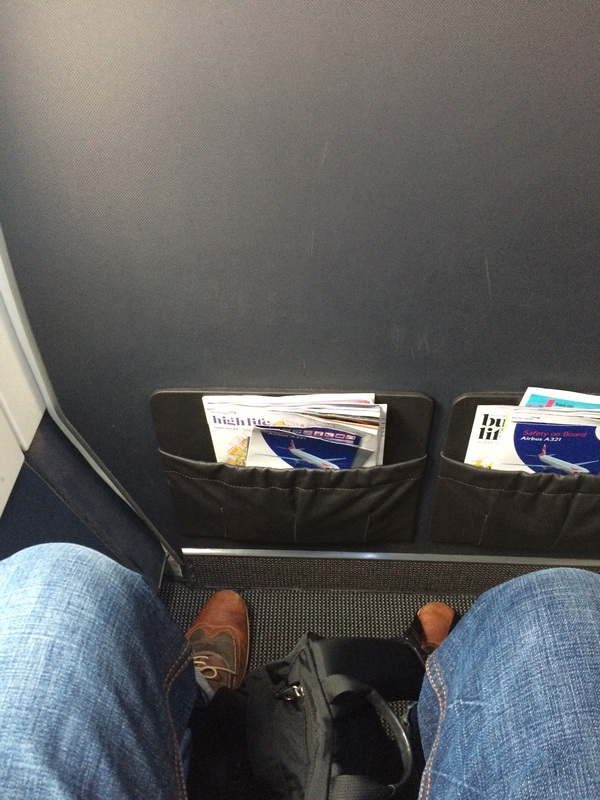 The ticketing agent was able to process the change and even changed the seat to give me 9A with extra leg room. I boarded to the bewilderment of one of the crew. What surprised me was that there was only one of the crew who was going back to London on the flight. She was a star, had a good chat with me and even brought me a glass of water to cool down after my run through the airport. Pushback was delayed due to air traffic control restrictions at LHR so we waited on the tarmac. I was so impressed by the crew who were actively encouraging kids to go and say hello to the pilots on the flight deck, and bringing round water and juice. This was a crew enjoying the job and providing one of the best on board experiences I have had. 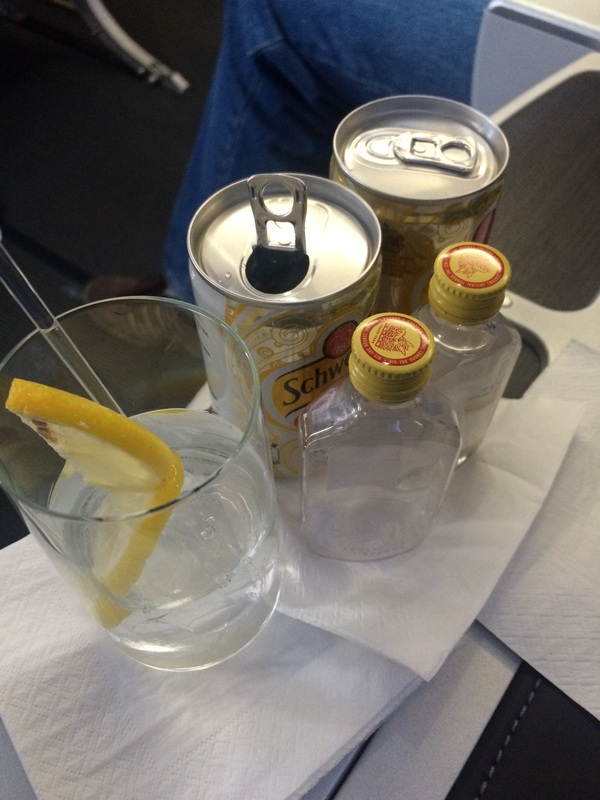 We took off, and I enjoyed a large, refreshing gin and tonic before the lunch service. 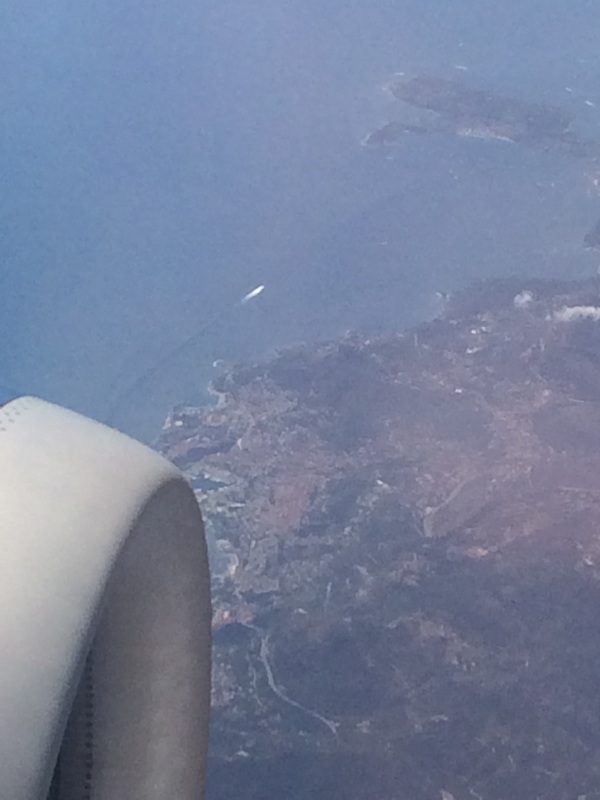 We flew over the Mediterranean and Nice, which is where my next planned trip will be next month. 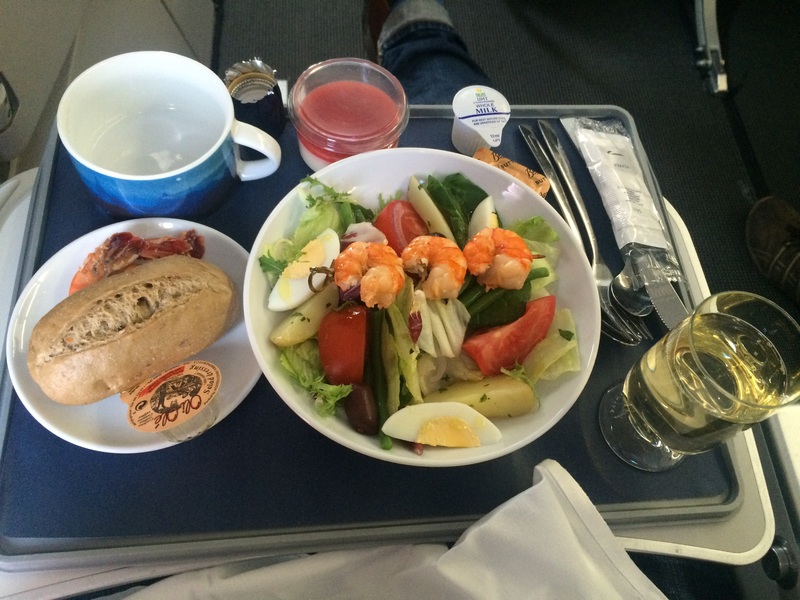 Lunch was a prawn salad, with what I think was a strawberry pannacotta and a glass of celebratory champagne. 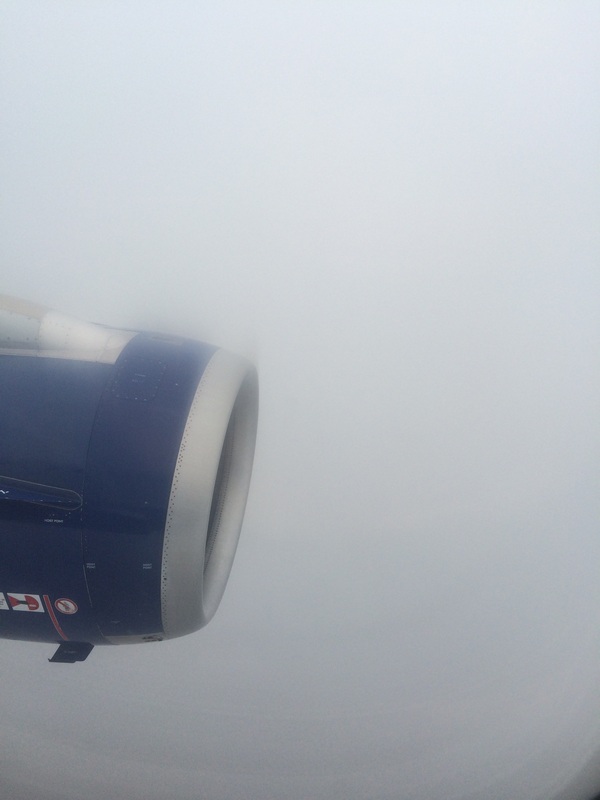 The rest of the flight was spent relaxing until we were past the Channel and over Blighty; then things got bumpy. The kind of bumpy that is made worse by not being able to see out of the window because it is all white. We landed into T5A without further incident, where I promptly donned my jumper, left the aircraft and jumped on the the next Heathrow Express home to the first proper cup of tea in two week!